Directed by Terry Gilliam. With José Luis Ferrer, Ismael Fritschi, Juan López-Tagle, Adam Driver. 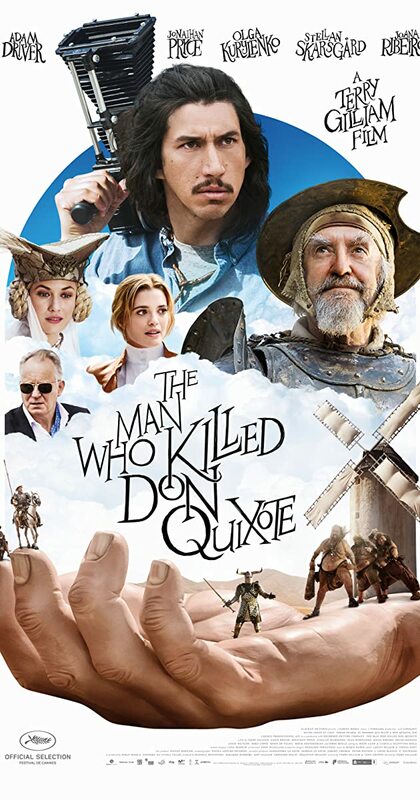 Toby, a disillusioned film director, becomes pulled into a world of time-jumping fantasy when a Spanish cobbler believes him to be Sancho Panza. He gradually becomes unable to tell dreams from reality.